Similar Balls: Same Hook Potential, Lane Conditions & Coverstock as the Track Tundra. The Track Tundra is a remarkable ball for dry lanes. Multiple times - in both league and tournament - when the mid-lane has created a burn spot, but I am not ready to chase the shot left, I have been able to go to the Tundra. Somehow, this ball is able to "ignore" the burn spot to get to the break point. The most pleasant part of that result is watching the strength and continuation of the Tundra through the pins. For a "weaker" ball, it certainly does not have an issue with making a move and crushing pins. My Tundra is drilled with the pin above my bridge and the CG about 2 ½" below it and lined up with my ring finger. The out-of-box polish is very clean as you would expect. On a high friction house shot, the Tundra has been a go-to ball for Game 3. Most recently, late in a qualifying block when my Hammer Rebel starting rolling too early playing left, I was able to switch to the Tundra and stay in the same area to keep scoring. The next weakest ball in the Track line is the Heat - and there is no real comparison between these two balls. The Heat is at least 3 boards stronger. 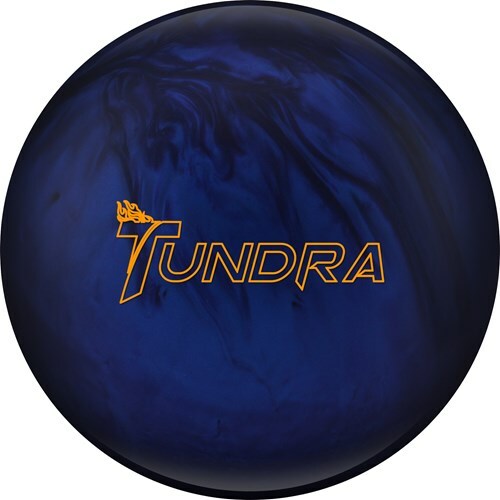 Personally, I think this is wonderful that there is such a defined difference in strength because there are definitely times when you want to go to a ball KNOWING you need to control the lane - and the Tundra does not disappoint in either control or power through the pins. This is a "must have" ball for anyone with a high rev rate or anyone who bowls on friction and needs control. By Hal Kee from Riverview, Fl. The Tundra will be the first ball out of my bag on house conditions. It is a beautiful pearl and it carries extremely well. Tracks best dry lane ball in years. This ball is nothing short of effortless length throughout the lane. With control at the end of the pattern & still enough motion through the pins to get the corners out. Best dry lane ball PERIOD! 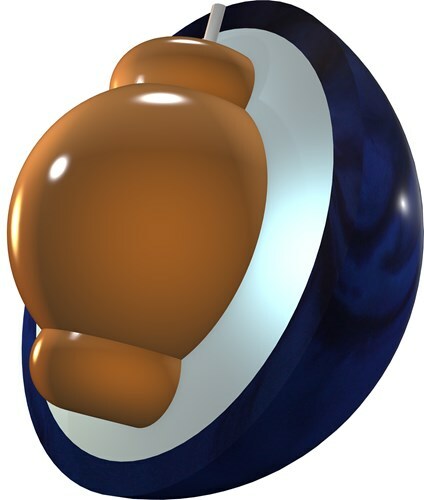 If you like to play the outsides or your lanes burn up quickly this is your ball. Perfect ball for DRY lane conditions! I used this ball for late games in tournaments, dry league patterns. This ball is a great step up from urethane products. The overall roll is just smooth, with awesome carry. I'm a 200-average league bowler rolling two nights a week in different houses. I'm a medium rev, medium speed bowler whose ideal line is 10-to-5. 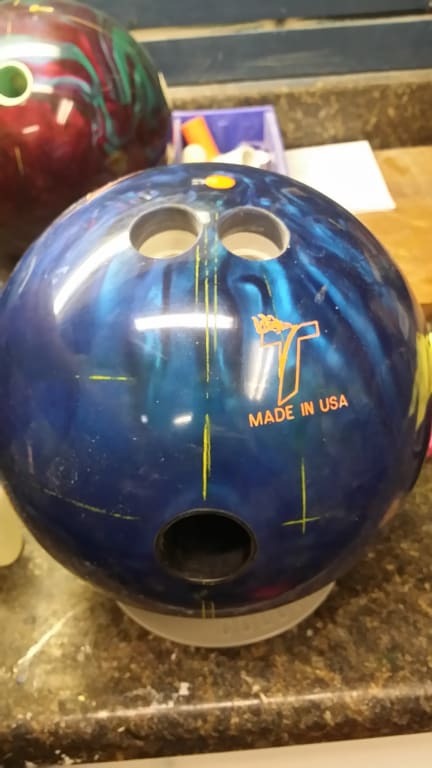 With a Motiv Revolt Vengeance and a Hammer Absolute Hook as my two aggressive balls, I needed a tamer ball for dry lanes and broken down patterns. The Tundra sounded ideal and, having had good results with Track in the past (although I haven't thrown one since the Power Machine several years ago), I decided to give it a try. Bad move. The ball will get deep with no problem, but carries absolutely no energy into the pins. With such a low differential I certainly was expecting low aggression, but even my Motiv Arctic Sniper can go straight up and in and hit the pocket harder. If you're looking for automatic corner-pin leaves on every line, with about a 10% chance of a pocket 7-10, this is your ball. Two bowling teammates with similar styles had the similar lack of results. HOWEVER, a third teammate, a high-speed/high-rev "no thumb" bowler, was able to get the ball deep and carry power into the pins. So, I can tentatively recommend this ball for really aggressive cranker bowlers, but if your normal shot isn't 17- or 18-mph plus and covering a lot of boards I don't think this will be a good purchase for you. It certainly wasn't for me. cause of the ball. Just join the league last year. I would recommend this and I will be a TRACK Bowler. BEST DRY LANE BALL PERIOD!! Don't let the low mid performance fool you. This ball hits very hard. Extremely smooth and very consistent. Everyone I know that has the Tundra loves it and that is why I got one-and I love it too!! Tundra (Box surface) - Pin above the bridge CG in the palm positive axis point is 4 3/8 right 1/2 up. Everything that was said about the Tundra being for lighter oil and or dry lanes is true. The Tundra does not lack in hitting power either when you're on those condition were the volume is low and it is close to being bone dry this is a nice ball to go to. I have not played with the surface yet I will do that in the near future nothing lower then 3000 I still like to see that length and continuous motion when it hits the friction. One night in league during the last game I couldn't get anything to stay right long enough to give me a good reaction. I switched to the Tundra for the last five frames and moved about 7 right and that was not enough I moved three more right and that was the perfect place to be for the last four shots in that game. The Tundra is a ball I would suggest to have on those short conditions and those drier lane conditions. Ball is delivered undrilled, correct? Hello Earl. Yes, that is correct. The ball will be undrilled when delivered unless you wish to purchase the drilling through Bowling.com. The weight block for the 13 pound ball will be generic. The 14-16 pound balls will have the same weight block. Since it will have a different weight block, it will react differently. You can ask your driller to drill it as close as possible as it would perform as a 14# ball. Due to the time it takes to produce the Track Tundra ball it will ship in immediately. We cannot ship this ball outside the United States.